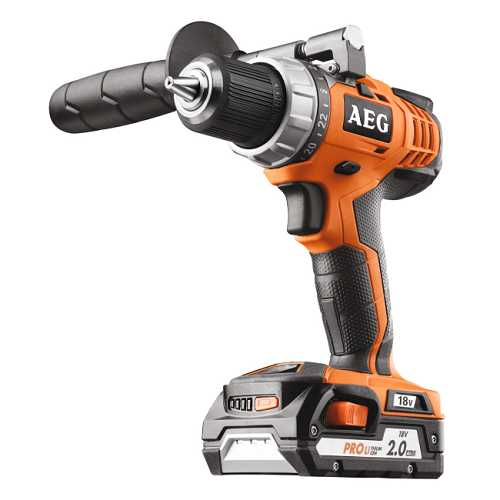 Sturdy and handy cordless 2-speed drill / screwdriver, reversible. FIXTEC quick-change chuck with spindle lock. Handle with Softgrip coating for comfortable use. LED illumination of the working area. 23-step torque limit adjustment, plus drill steps. 4-pole motor for maximum power within a compact design. 2× 18 V / 2.0 Ah Li-ion batteries, charger, transport case and additional handle. See No. 073820ff and No. 073841 for suitable spare batteries and chargers.